It’s been six months since the arrival of our baby boy Robin and the time has hazily flown by. With a baby around the house it’s unsurprisingly been difficult to find the time to paint, let alone blogging and the like. The foundations for this painting were laid last year, shortly after Judith and I found out we were expecting. 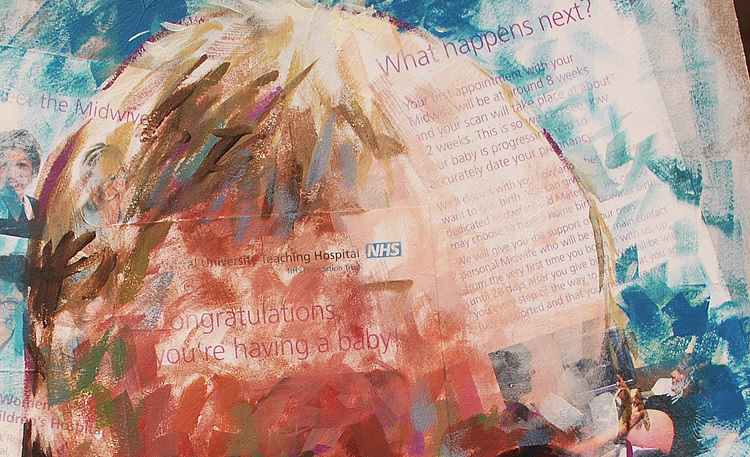 In anticipation of painting something pregnancy-related, I glued an NHS Wirral midwives leaflet to a board, onto which a few layers of gesso were then applied. In common with a lot of my plans, this one never quite came to fruition. However, earlier this year I thought this prepared surface would be an appropriate one on which to paint a portrait of our baby. 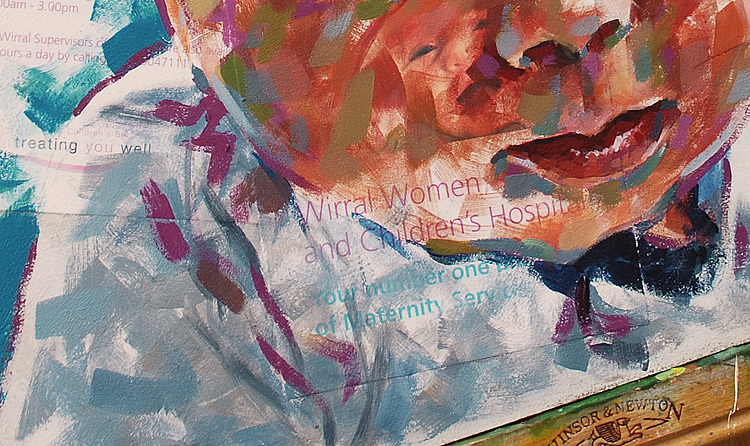 Judith and I feel a gratitude that is impossible to adequately describe for the care, attention and kindness of the midwives at Wirral Women and Children’s Hospital at Arrowe Park, where Robin was born, throughout the pregnancy and in its immediate aftermath. On an emotional level, utilising some of their literature in this portrait felt right. 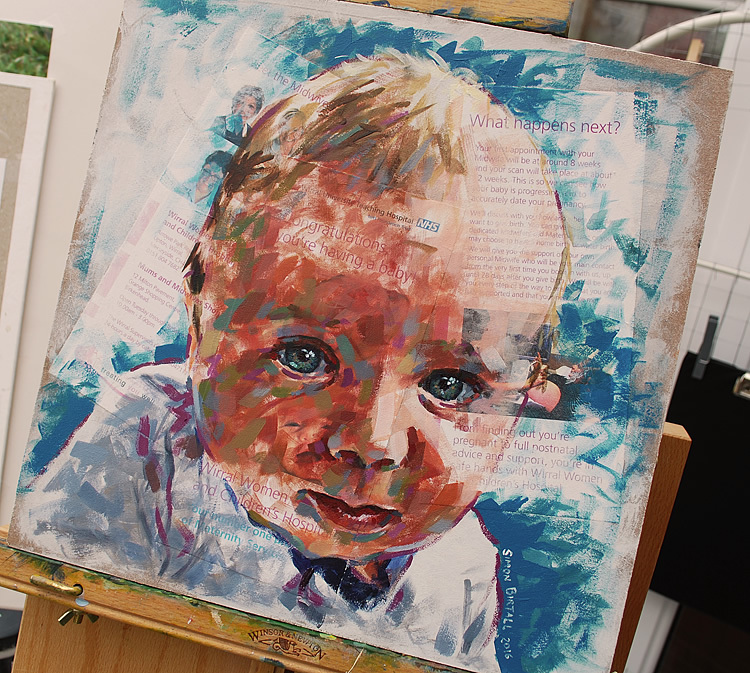 The resulting portrait is largely based upon a photograph of Robin taken when he was around 4 months old. Completed a month or so ago, it was painted over a number of sessions in a combination of Winsor & Newton and Pip Seymour acrylics.